54 yo woman with neuromuscular condition and cervical scoliosis measuring 16 degrees and kyphosis measuring 59 degrees. - Matthew D. Hepler, M.D. 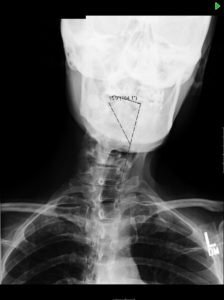 54 yo woman with neuromuscular condition and cervical scoliosis measuring 16 degrees and kyphosis measuring 59 degrees. 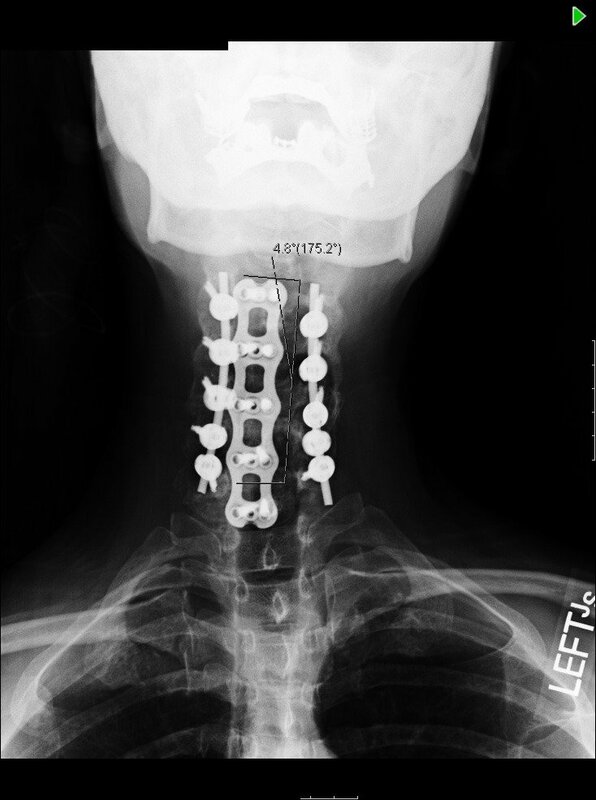 54 yo woman with progressive neuromuscular kyphoscoliosis of the cervical spine. She had disabling neck and arm pain and deterioration in her ability to ambulate and perform activities of daily living. 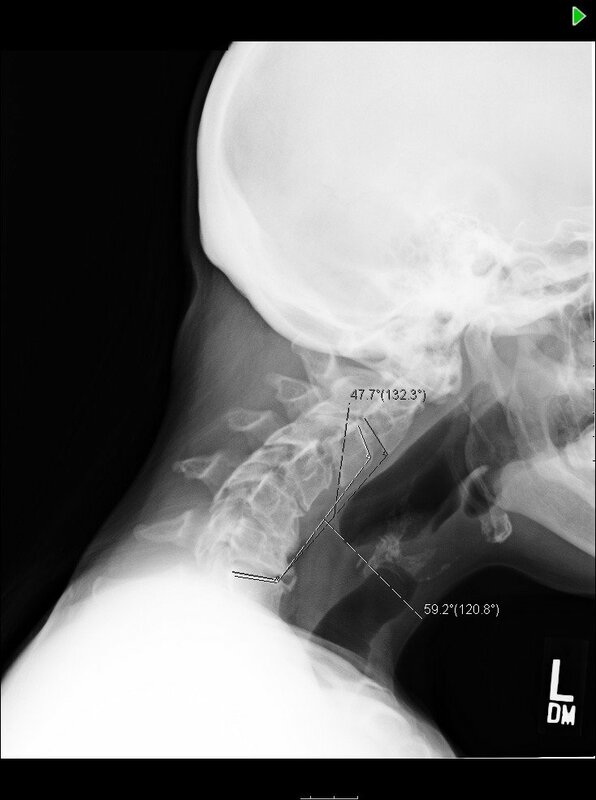 Xrays of the cervical spine demonstrate kyphoscoliosis with curves measuring 59 and 16 degrees respectively. 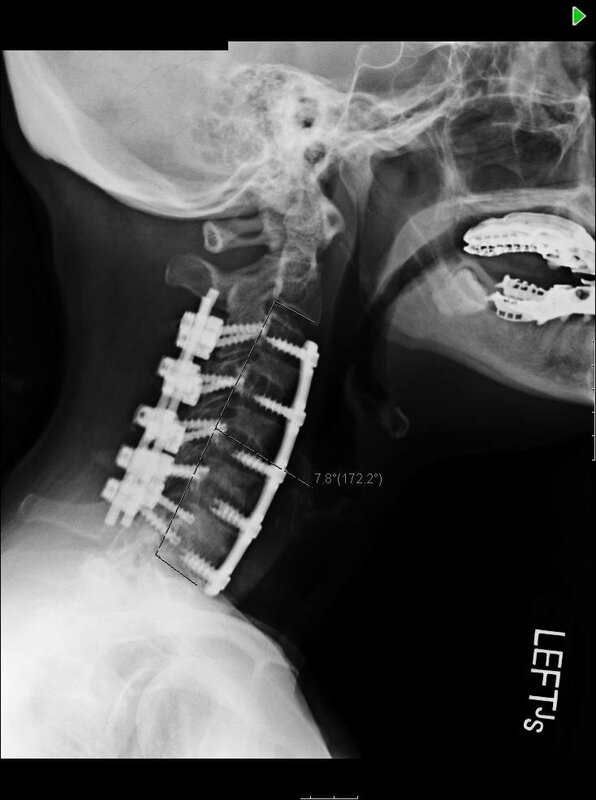 The patient was treated with anterior release/osteotomies with interbody fusion and instrumentation from C3-C7 followed by posterior release, fusion, and instrumentation C3-7. Postop xrays demonstrate correction of both the kyphosis and scoliosis, restoration of cervical lordosis (from 48 to -11 with total correction of 59 degrees), and normalization of her compensatory C1-2 hyperlordosis. Clinically she demonstrated substantial improvement in regional and global alignment, ambulation, ADLs, and neck and arm pain.